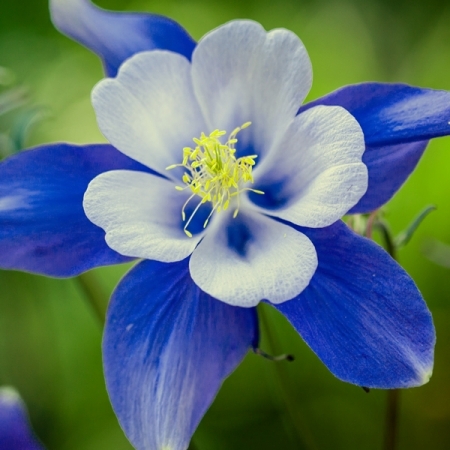 No more than 9” tall in brilliant blue with a contrasting white corolla and rich green leaves. 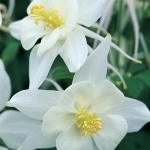 Aquilegia, also known as Columbine or Granny Bonnet, are spring flowering, old fashioned, cottage garden favourites. 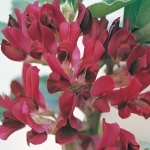 Compact varieties make great rockery plants while taller varieties sit well among shrubs or in the dappled shade of an open woodland setting. Aquilegias love deep, rich, well-drained soil. 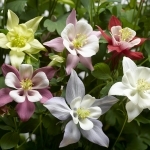 Aquilegia seed can be direct sown into the garden in autumn or started indoor in pots from January to April or August to September. 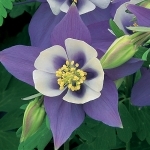 To sow Columbine seed outside, choose a cooler part of the garden benefiting from dappled shade and sprinkle the seeds straight onto the soil in late-summer. 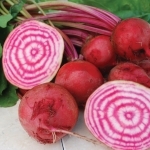 These will germinate by the following spring. 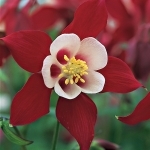 To start Aquilegia seeds indoors, sow the medium-sized seed onto the surface of a moist, free-draining seed compost into plug trays to prevent root disturbance later. 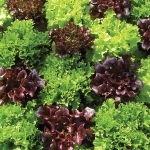 Cover the seeds lightly with vermiculite, and cover the trays with polythene to retain moisture until the first seedlings appear. Germination normally takes up to 21 days at 18-21oC. 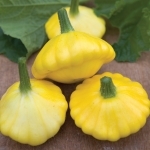 Move the young plants on into 9 or 10cm pots once they are large enough to handle. Grow on until they are nicely established under shading if possible. Foliage dies back in the Winter, then attractive pale green new foliage appears in the Spring. Ideally keep the plants overwintered under cover, on the dry side to prevent rotting but avoid allowing the pots to completely dry out.